CLICK TO CHECK FOR SPECIAL OFFER! Each Webinar ONLY USD $4.00! "This English pronunciation course gives you everything you need to learn - and maintain - excellent speech". Hi! 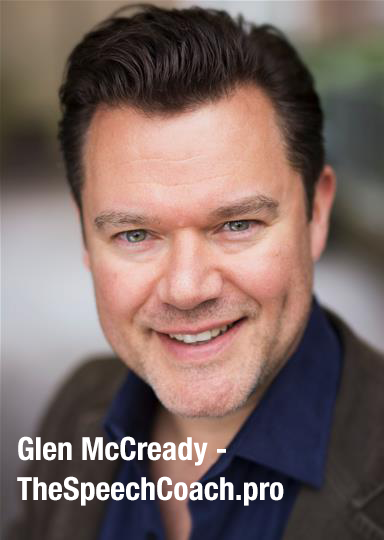 I’m Glen McCready – TheSpeechCoach.pro. For over 20 years I have worked as a professional actor, presenter and voiceover artist. In recent years, more and more people have been asking me to coach them, because they feel the way they speak has been holding them back and limiting their chances, both professionally and personally. Now it’s time to share my knowledge online. The Voice & Speech Toolkit is a course of 38 easy-to-follow video lessons that you keep forever – take a look now, and try it for free! 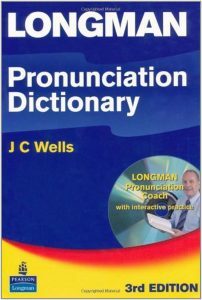 Glen McCready is one of the 3 experts who recorded the sound files for my Longman Pronunciation Dictionary. It includes a sound file of every entry in the dictionary – nearly 100,000 words and phrases. I am Dharmendra Sheth from Surat, Gujarat, India. I have studied, and also taught, phonetics and phonology to non-native learners of English at a local university here. However, as a non-native user of English, I am always a little unsure about the finer aspects of pronunciation. Luckily I came across your course. I have been learning English pronunciation via your course for more than a month now, and I am about to complete it. I must say your course is immensely helpful to me. It has excellent audio and video quality and ample practice material. Making a great best man speech... but you're terrified!